”Nokia Ovi Store has lined up a royal cracker of a season of goodwill with some of the best Christmas-themed apps for all Nokia users. This is a special time to make merry and share good times with loved ones and these apps will offer the best experience ever,” said Dorothy Ooko, Communications Manager, Nokia East and Southern Africa. “These apps on the Ovi Store this year also support a wider range of devices including both touch and non-touch Nokia devices and we believe this will make the experience even better. We are delighted to offer these specific applications during this Christmas period,” said Ms Ooko. So which ones will you be downloading on your Nokia smartphone? After all three million people will access the Ovi Store today, so why be the odd one out? The Xmas Candy app is a fun game that everyone can play. It features some all-time favourite candies including candy canes, candy apple, liquorice, among others. To score points, one needs to link up three or more identical types of candies together to collect them but to move from one level to the next one needs liquorice candies. One thing to look out for is the Greedy Elves; Santa’s helpers have not been good this year and will try and take your candy from you- especially the liquorice. The Xmas Candy app is wonderful game that you can enjoy, whether playing alone or with friends and family. For the candy lovers, once you play this game all you’ll want to do is go out and buy some candy and if you have children you are assured you will not be booking any appointments to the dentist! Could you be the best Santa of this year? Enjoy the crazy ride down the slope in marvelous 3D graphics with touch or motion controls (motion controls are supported by all touchscreen phones except Nokia 5800). Upload your score and compare your Santa qualities with other Santas from all over the world. Compete with your friends in Bluetooth multi-player. Game contains short in-game ads provided by Inneractive and requires data connection. 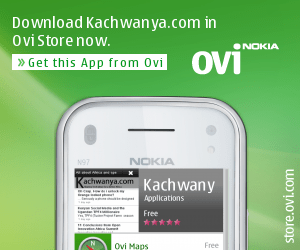 Ad-free version is also available in OVI store. Never miss an opportunity for a Christmas kiss with this handy sprig of mistletoe on your phone. Hold it above your head, close your eyes and pucker up! You can even keep count of your kisses with this great app. Please note: Installation to F: drive will not work.